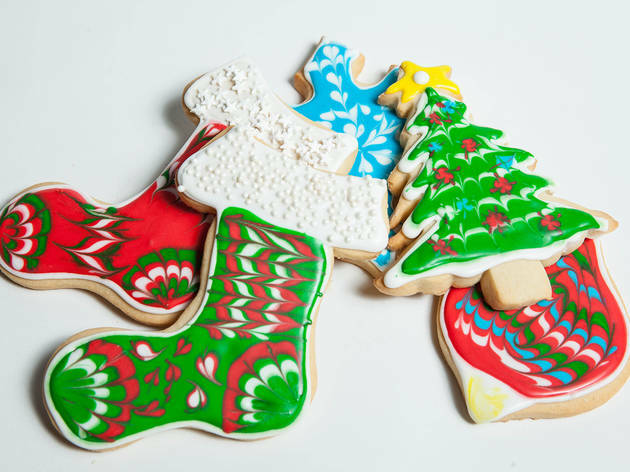 These bakeries are making our favorite gingerbread, peppermint-studded and hand-painted cookies to satisfy that holiday sweet tooth. 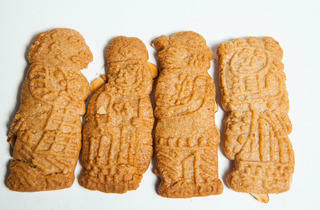 Photograph: Joshua ThaisenGingerbread MenAvailable at The Village Bakery and Caf&eacute;, Gingerbread Men, $2.25-$4 each. 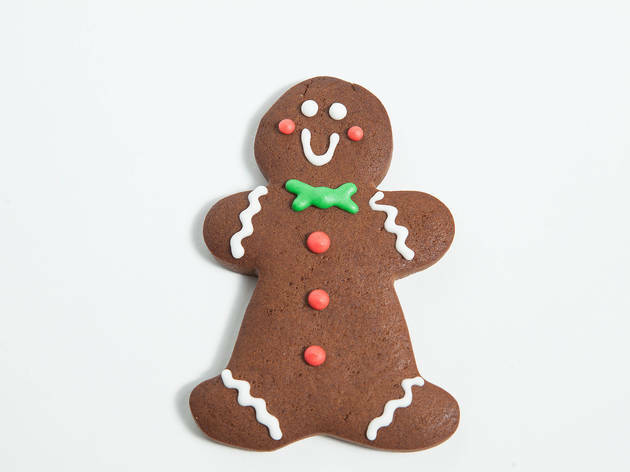 Catch him if you can, this gingerbread man is on the run. 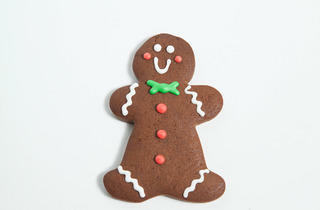 His cute bow and buttons compensate for a standard ginger cookie. 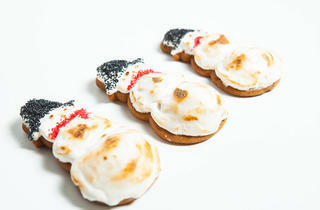 Photograph: Joshua ThaisenToasted Gingerbread SnowmenAvailable at Ramekin, $1.50. 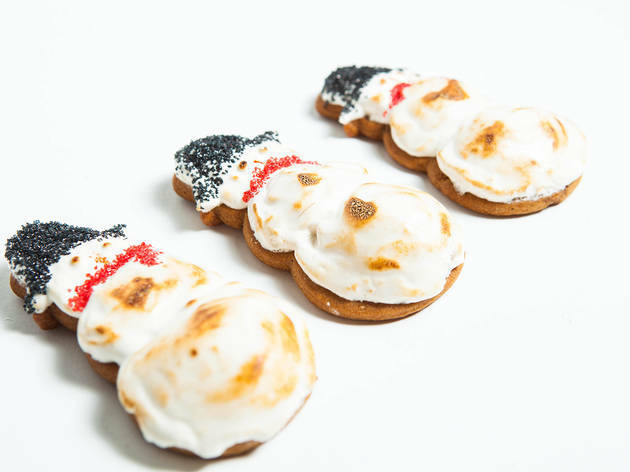 Frosty gets a makeover with a homemade gingerbread body topped with fluffy toasted marshmallow. Besides the detailed sprinkles, we love the hidden pockets of chocolate ganache under the top hat and red scarf&mdash;s'mores anyone? 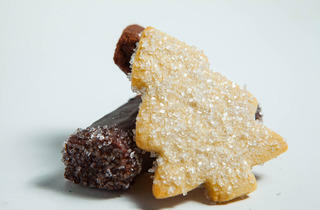 Photograph: Joshua ThaisenSugar CookiesAvailable at The Village Bakery and Caf&eacute;, Sugar Cookies $2.50-$4 each. 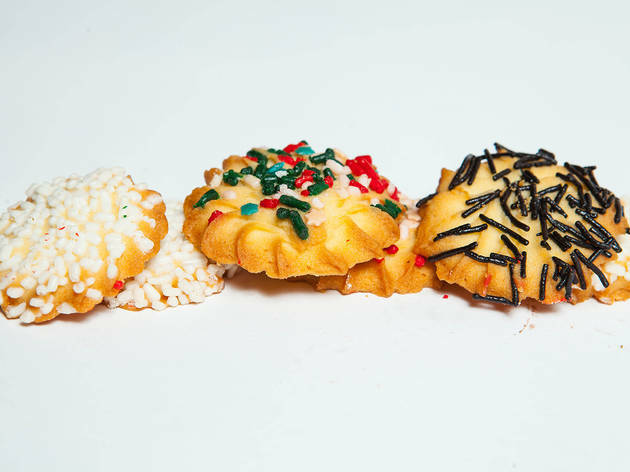 These charming cookies deliver on looks, but fall short on flavor. 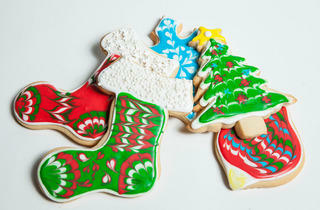 We still love them for a box full of holiday cheer with festive shapes and detailed designs. 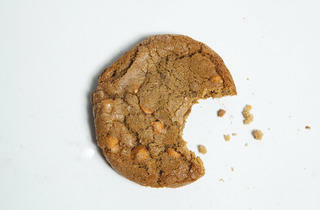 Photograph: Joshua ThaisenSugar CookieAvailable at The Village Bakery and Caf&eacute;, Sugar Cookie $2.50-$4 each. 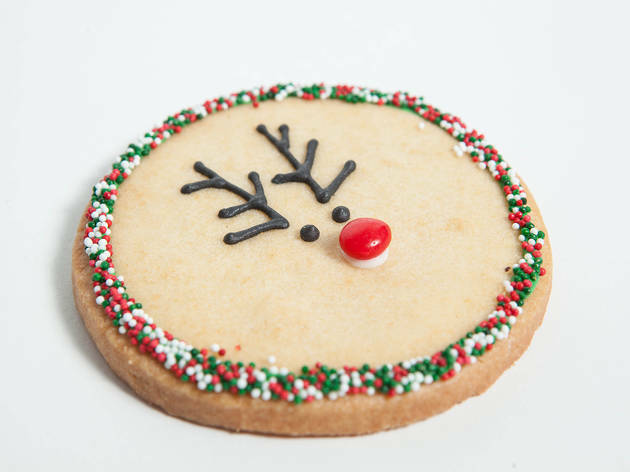 These charming red-nosed cookie deliver on looks, but fall short on flavor. 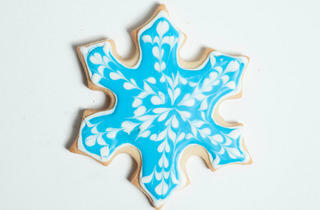 We still love this festive design for a box full of holiday cheer. 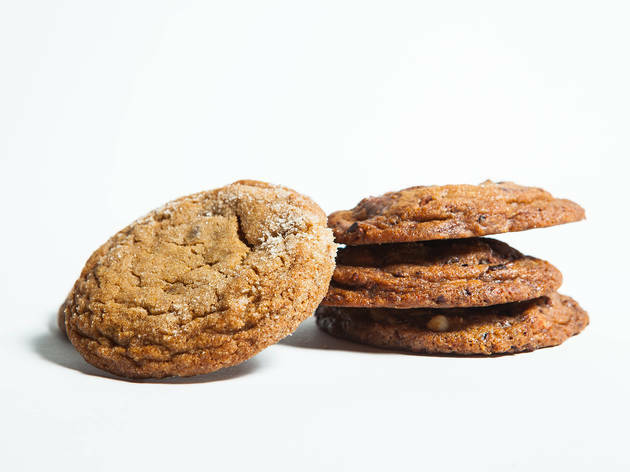 Photograph: Joshua ThaisenFrom left: Rosco and Molasses Ginger Sandwiches&nbsp; Available at Cookie Casa, Roscos $21 dozen, Molasses Ginger Sandwiches $42 dozen. You&rsquo;ll be licking the cinnamon and sugar off your fingers after one bite of a Rosco&mdash;a traditional Spanish cookie ever slightly spiced (we tasted hints of anise). 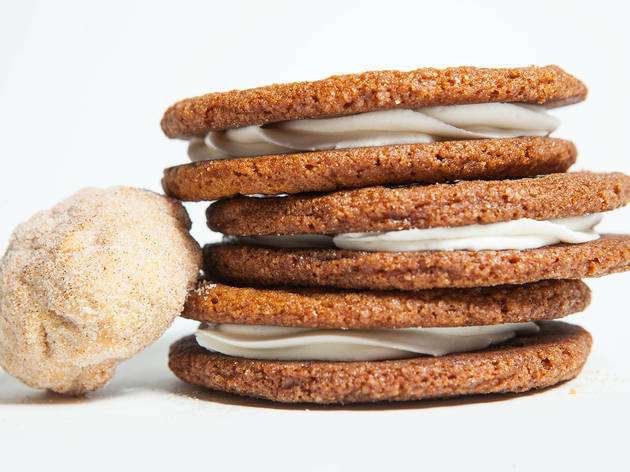 Combine oversized sandwich cookie nostalgia with molasses and ginger and you get a salty sweet combo that begs for another bite. 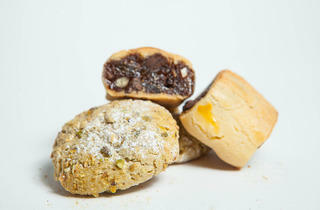 Photograph: Joshua ThaisenGinger CookiesAvailable at Stella Barra, $3.25 each. 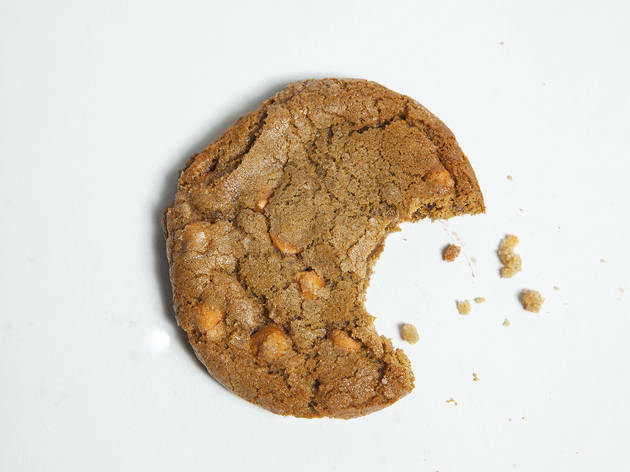 We can&rsquo;t get enough of these size-of-your face cookies, which are everything we want from a ginger cookie: crunchy on the outside, soft on the inside, covered in sugar and (not too) spicy flavor. 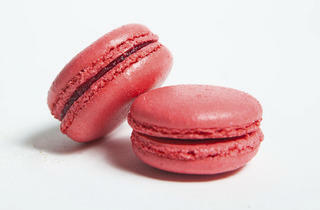 Photograph: Joshua ThaisenCranberry MacaronsAvailable at Bouchon Bakery, $2.50 each. 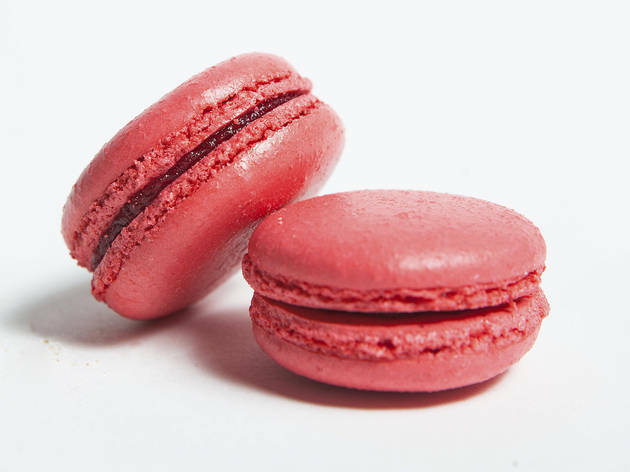 These aren&rsquo;t grandma&rsquo;s cookies, but we&rsquo;d expect nothing less from Thomas Keller than colorful French macarons, which don&rsquo;t disappoint on tart cranberry flavor. 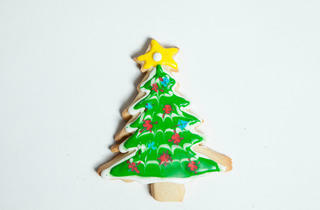 Photograph: Joshua ThaisenHand-painted Sugar CookiesAvailable at K Bakery, $5-$7 each. 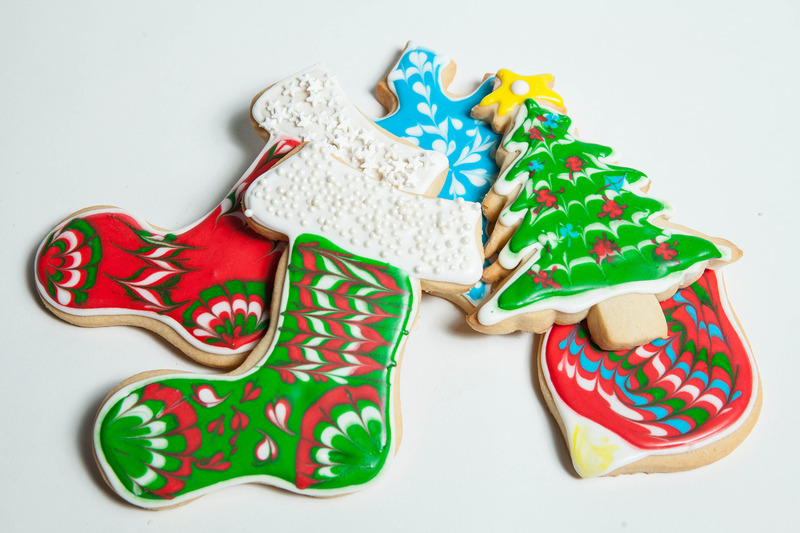 Mini works of art, serve these hand-painted sugar cookies to Martha Stewart who&rsquo;ll love the buttery taste, festive shapes and bright colors. 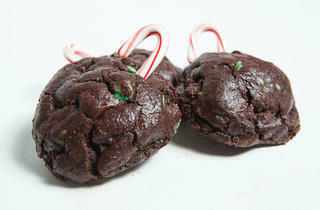 Photograph: Joshua ThaisenPeppermint Chocolate CookiesAvailable at Deluscious, $3.50 each Packed with mint chips, this cakey brownie cookie is for the chocolate lover&hellip; and with a hefty price tag, maybe the trust fund type, too. 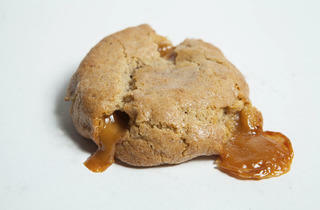 Photograph: Joshua ThaisenCarameldoodleAvailable at Sweet Butter Kitchen, $2.00 each. 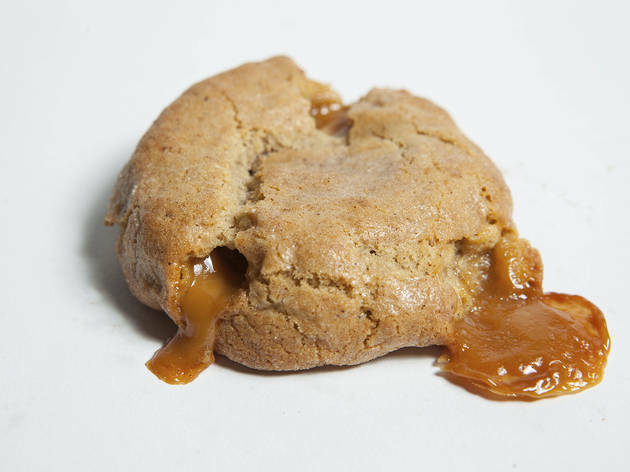 Caramel oozes out of this super sugary cookie cementing a place between your (sweet) teeth. 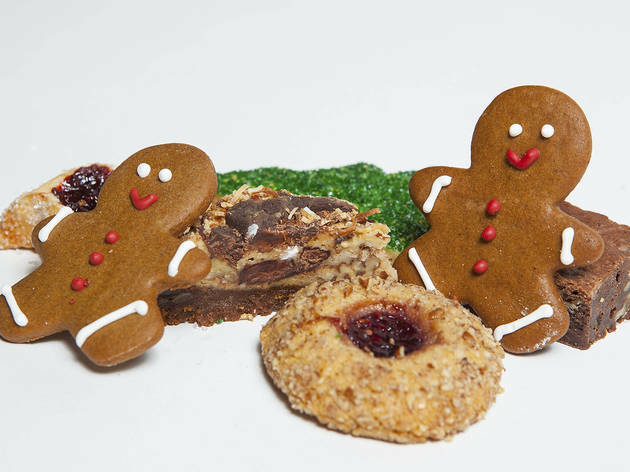 Photograph: Joshua ThaisenFrom left: Sugar Cookies, Molasses Snowflakes, Gingerbread MenAvailable at Elysee Bakery, $13.95 per lb. 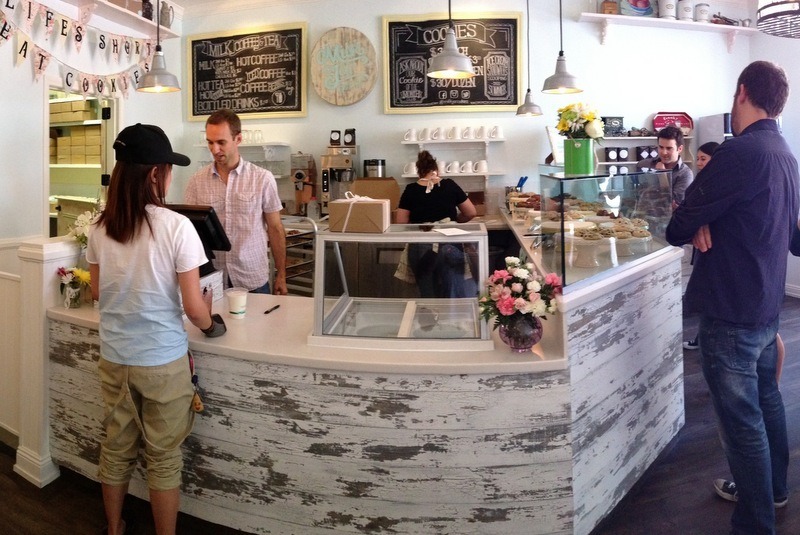 Expect fun shapes and homemade tastes from this Westwood Village bakery. 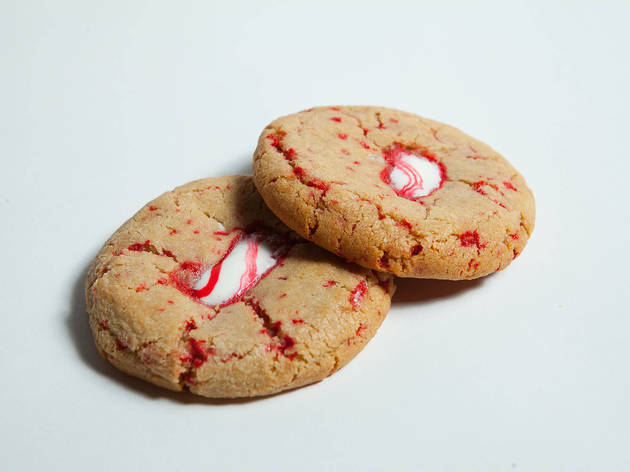 Photograph: Joshua ThaisenPeppermint Candy CaneAvailable at Milk Jar, $3 each, $15 half dozen, $30 dozen.A seasonal favorite at Milk Jar, this cookie is big, chewy and full of peppermint-y goodness. 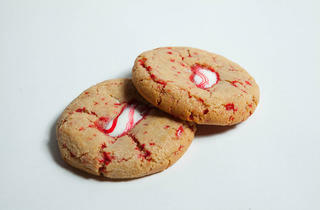 Think of it as a peppermint bark-gone-cookie. 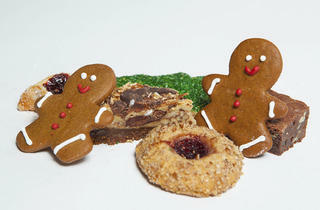 Photograph: Joshua ThaisenFrom left: Sugar Plum Hamentaschen, Gingerbread Men, Mini Butterscotch Brownies with Walnuts, Shortbread Trees, Raspberry JewelsAvailable at Clementine, Sugar-Plum Hamentaschen, Gingerbread Men, Shortbread Tress $8 &frac12; dozen, Raspberry Jewels $7 &frac12; dozen, Mini Butterscotch Butterscotch Brownies with Walnuts $1.15 each. Clementine&rsquo;s incredible variety will please everyone at the party. We love the sugar plum hamentaschen&mdash;crystalized sugar bits surround a flakey pastry cookie filled with tangy-sweet sugar plum jam that might as well be on the menu year-round. 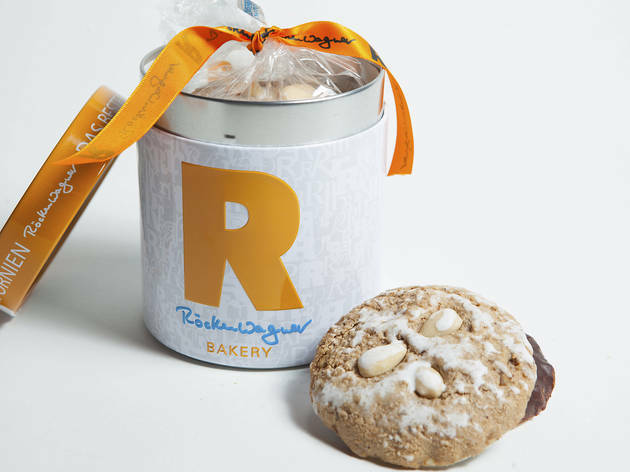 Photograph: Joshua ThaisenLebkuchenAvailable at R&ouml;ckenwagner, $3.00 each, $13.95 for a 5 pack, $19.50 for 6 in gift tin (pictured). 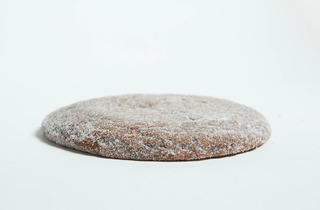 Gingerbread meets fruitcake in this nutty German specialty baked on a paper-thin communion-like wafer which, (surprise!) 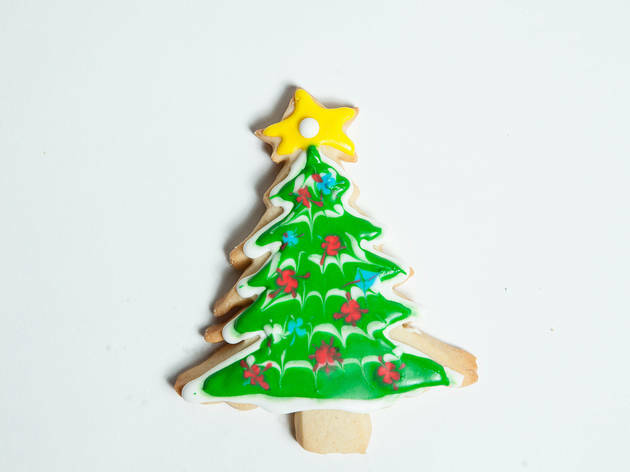 you can eat&mdash;making this a holy holiday cookie. 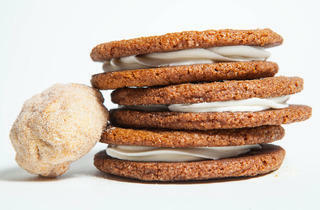 Photograph: Joshua ThaisenFrom left: Butter Cookies, Mocha SandwichesAvailable at Beverlywood Bakery, $10.95 per lb. Covered with sprinkles, delight tots who want a variety of colorful treats or pick a grown-up flavor whose buttery cookie texture plus mocha equals yum. 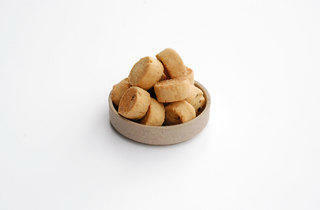 Photograph: Joshua ThaisenSpekulatisAvailable at R&ouml;ckenwagner, $5.99 dozen. 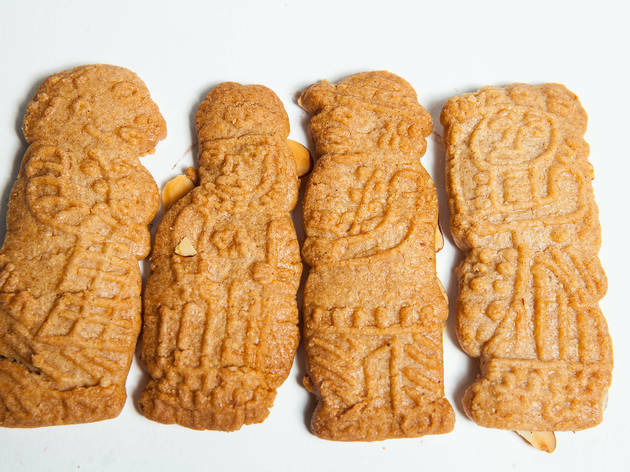 Baked on wooden forms flown in from Germany, these brown butter holiday favorites are the predecessor to the modern day animal cracker. 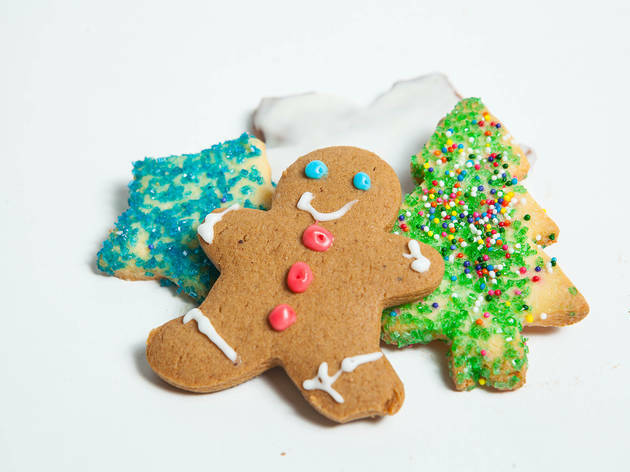 Try dunking in coffee or milk for a perfect post-Christmas dinner treat. 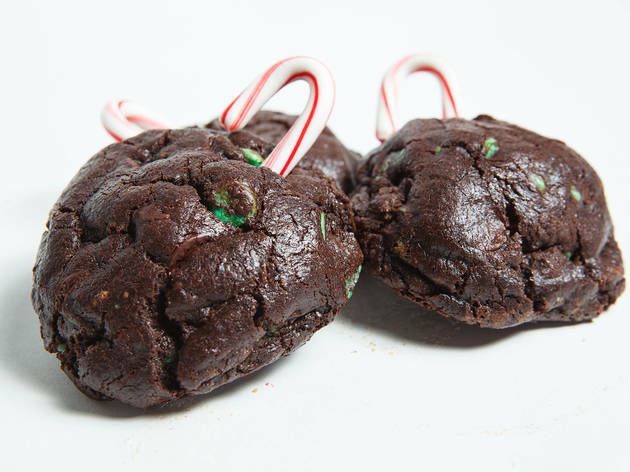 Photograph: Joshua ThaisenFrom left: Chocolate Dippers, Christmas Tree Sugar CookiesAvailable at Breakaway Bakery, Christmas Tree Sugar Cookies $1.40 each, Brownie Dippers $1.60 each. 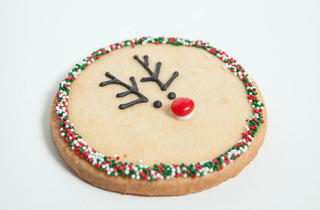 These vegan, gluten-free sugar cookies are wonderfully festive and surprisingly don&rsquo;t crumble. And all we can say about the dairy and gluten-free chocolate dippers is, who doesn&rsquo;t love anything perfect for dunking in coffee and covered in chocolate? 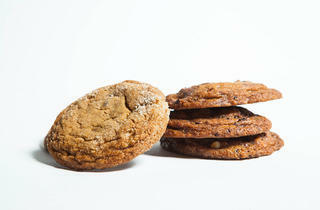 Photograph: Joshua ThaisenButter CookiesAvailable at Stolichnaya, $6.99 per lb. For the child at heart who still loves sprinkles. 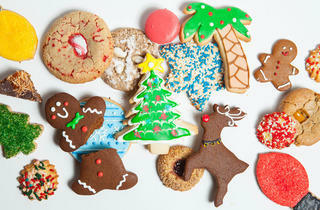 Head to these bakeries for all your holiday cookie needs. 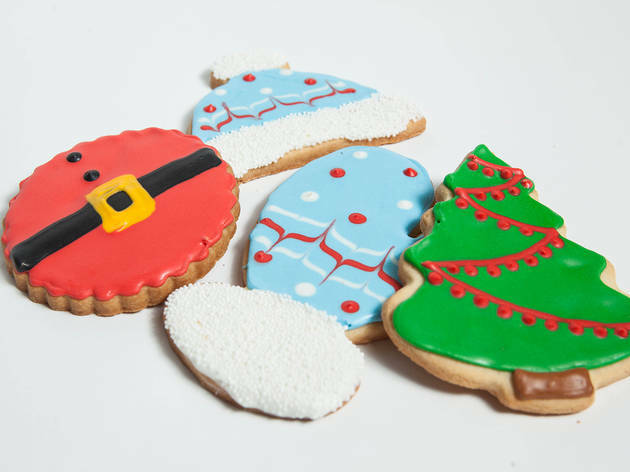 Whether you’re leaving them out for Santa or looking for a sweet gift idea, get inspired by these Christmas cookies that will please kids and adults alike. Flip through our guilt-free slide show of drool-worthy pics before making any New Year's resolutions. 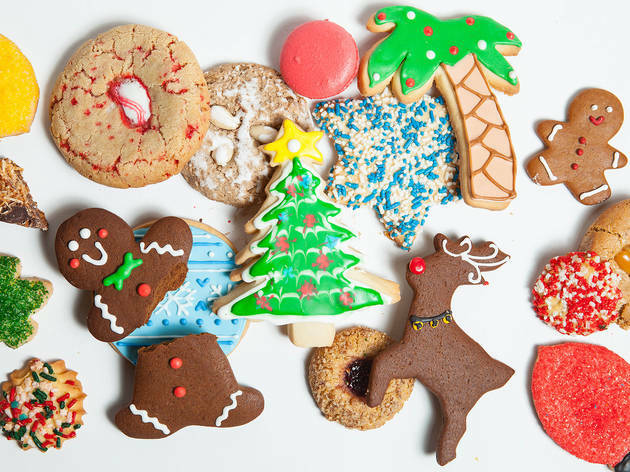 From classic gingerbread men and cut out butter cookies to traditional treats from around the world and even vegan sweets, fill up on holiday cheer as we round up the best Christmas cookies at local LA bakeries. 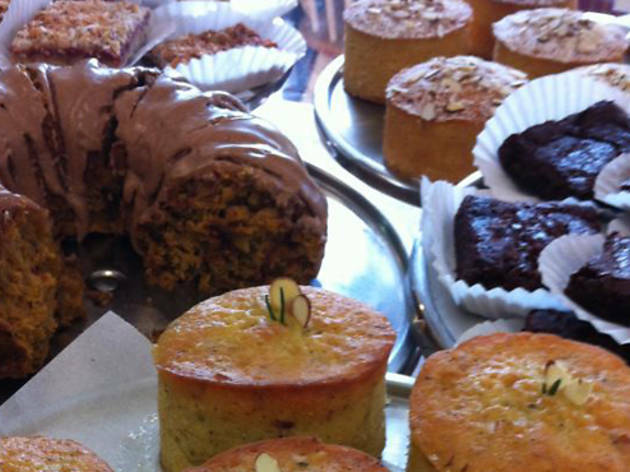 This Atwater Village cafe bakes their baguettes, scones, muffina and other drool-worthy treats every morning, so that you're guaranteed a fresh purchase every time. Stop by for breakfast, where you can indulge in their oatmeal cinnamon pancakes or housemade granola. 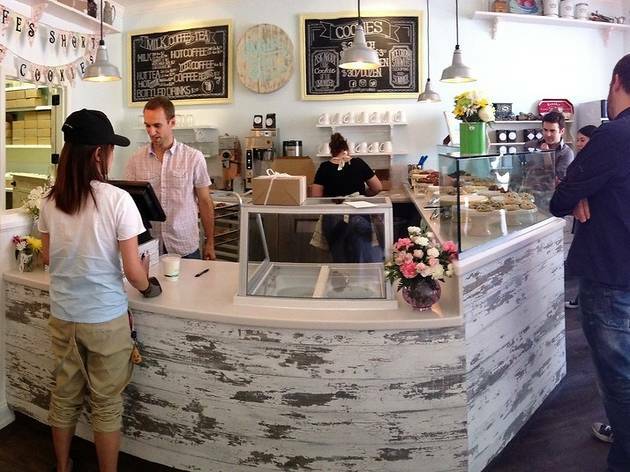 This soon to be hipster with a sweet tooth haven creates a new bakery experience with a coffee shop meets bakery feel at Ramekin. 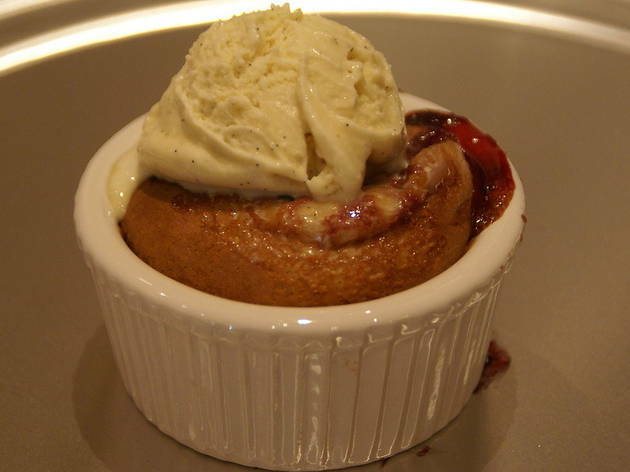 Named for the ceramic bowls used for baking (think: creme brulee), every item on the menu is baked to order so carve out about 20 min for your visit. 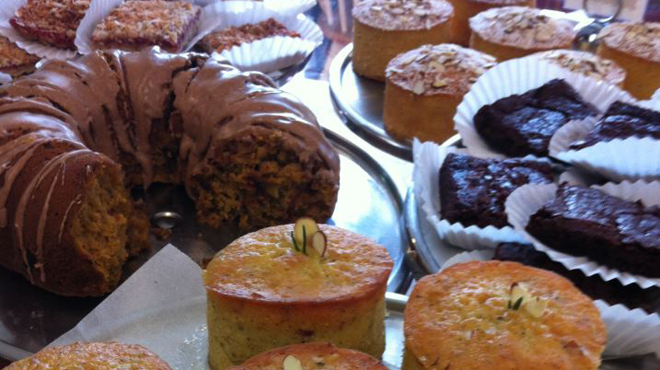 Order a cup of coffee or tea (all local) while waiting for a cookie, cobblers, cake or pie. 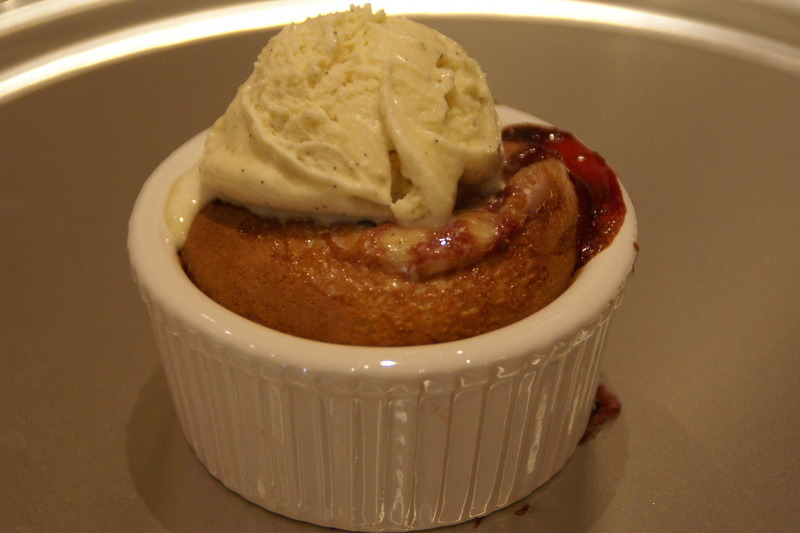 If you don’t feel like waiting, get a bowl of freshly made ice cream or sorbet. Stop drooling over your computer and go see what all the hype is about. 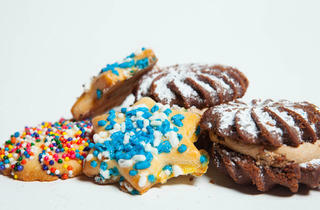 Cookie Casa is a standby bakery for Angelos searching for a sweet treat with a made from scratch flavor. 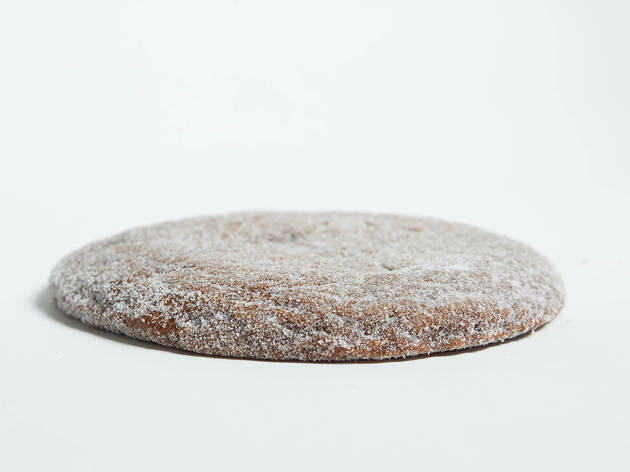 The signature cookie called a Rosco is a pie-pastry dough cookie with hints of anise and sherry, rolled in cinnamon and sugar. 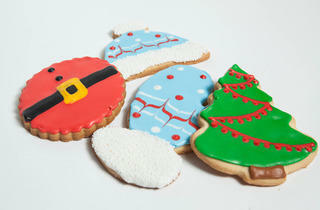 More than just cookies, their mouthwatering cakes, brownies, bars and cupcakes are definitely worth a try too. 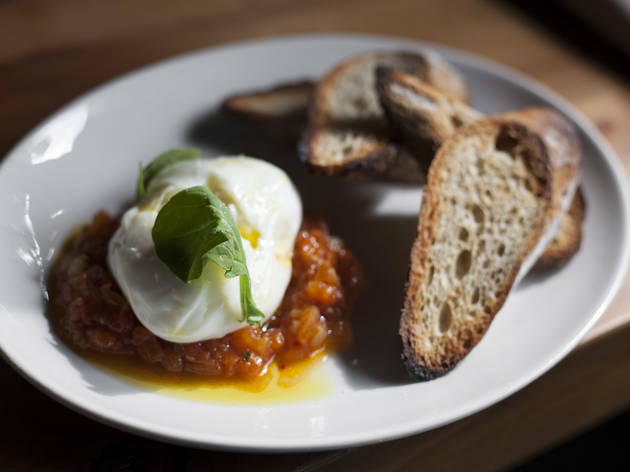 Steps from the Arclight, Stella Barra is the perfect pre- and post–movie nosh stop—open until midnight Sunday to Thursday and until 2am Fridays and Saturdays. There's plenty of seating in the lofty space with a full bar serving local craft beers, Italian and Californian wines by the glass and bottle and creative cocktails; farmers market salads and small plates to share; and, of course, chef Jeff Mahin's top-notch pizzas, boasting a chewy, sourdough crust and California-grown toppings. Try the fennel-flavored, housemade sausage topped with organic tomato and mozzarella ($14.95) and, while you can get it, the seasonal spring onion and bacon ($15.95). 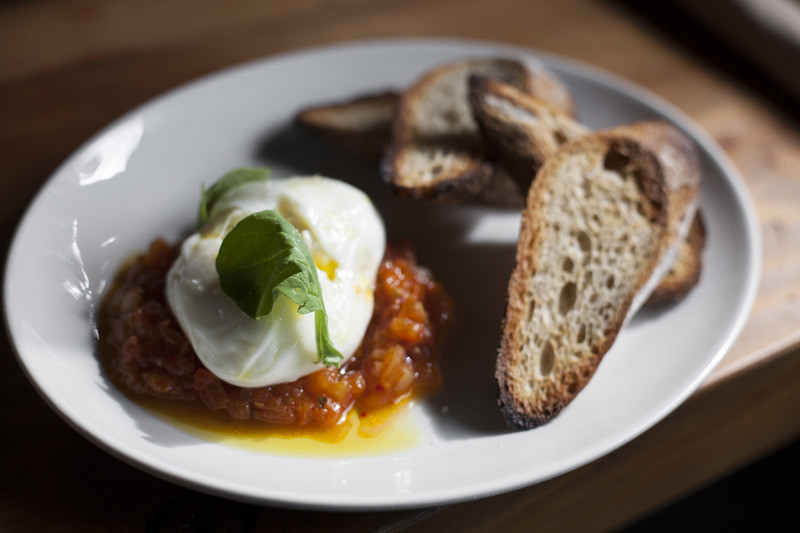 We also love the signature burrata ($10.95), plated with housemade bread and tomato jam and take-away baked goods on display in front, from oversized Rice Krispy treats to bacon chocolate chip cookies. 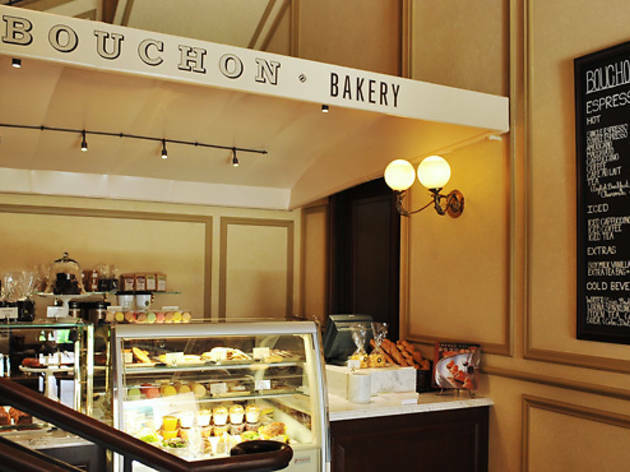 Thomas Keller's Bouchon Bakery arrives in Los Angeles (there are locations in Napa Valley and New York City) with a posh 90210 address. 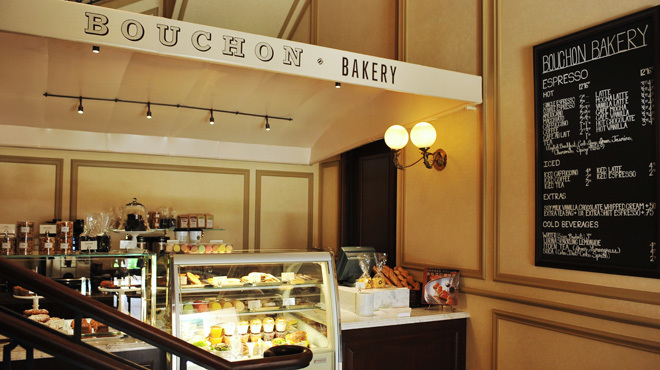 The tiny storefront offers traditional French pastries and viennoisseries from buttery croissants to delicate and elegant tarts on the first floor of Bouchon Bistro. 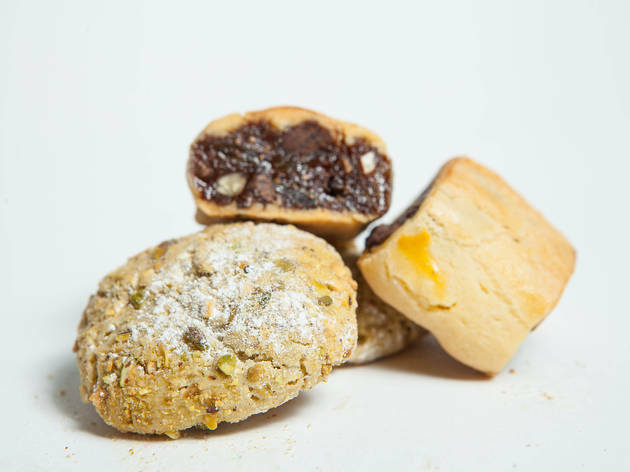 Growing up in an Armenian-American household, food was always important to head baker and owner of K Bakery, Kim. 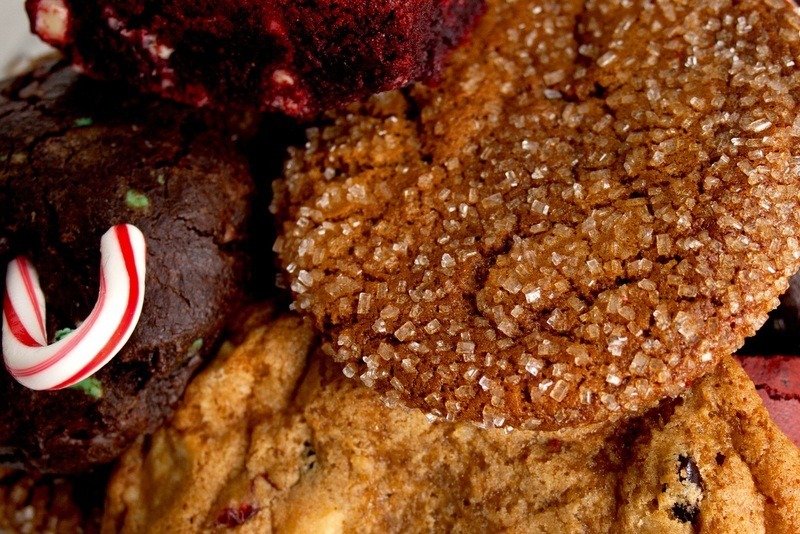 Attorney by trade, but baker at heart her cakes, cookies, brownies, cupcakes (the list goes on) makes mouths water at this Pacific Palisades bakery. 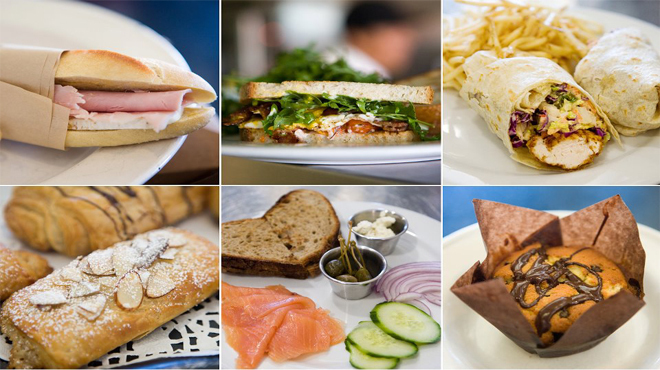 Stop by for more than just sweets and grab breakfast, a quick lunch or specialty “to go” dinner for the family on the go. 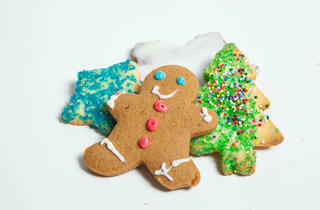 Let these cookies grace the platter at any party and smile as you try to pass them off for your own. 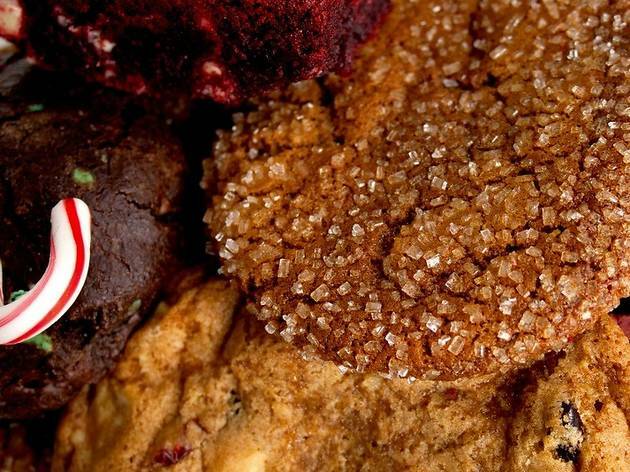 Deluscious “couture” cookies isn’t Diddy Riese with prices starting at $4.50 per cookie, but with hand delivery and cross country shipping, you get what you pay for. 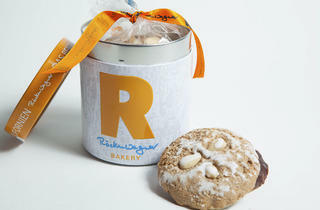 From corporate gifts to cookie of the month clubs, Deluscious’ cookies from scratch recipes that could have come from your kitchen and are delivered to best friends, bosses, or coworkers doorstep. This is not your typical LA bistro. 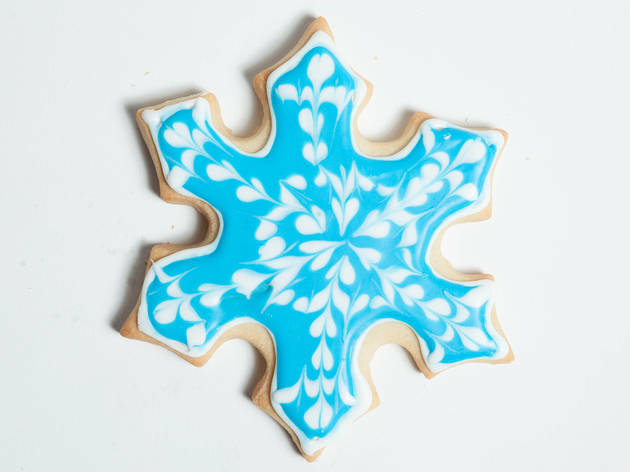 Stepping into Sweet Butter Kitchen feels like you've fallen down the rabbit hole and ended up in a quaint New England cafe, where delicate details adorn the shop's outdoor patio and indoor coffee counter. 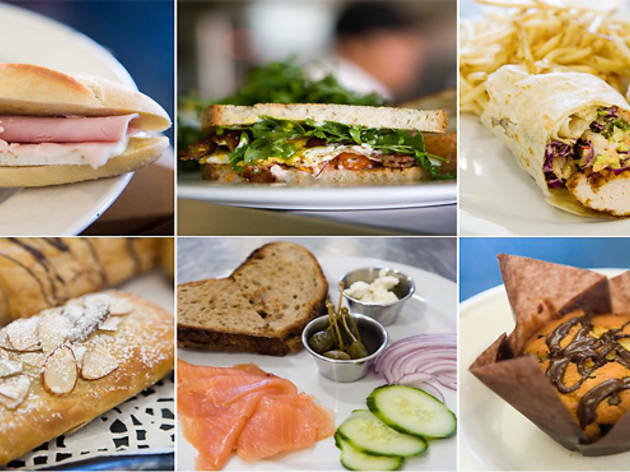 Sandwiches, salads (the Goddess Salad is as heavenly as it sounds) and small entrées are offered for breakfast, lunch and and early dinner (the cafe closes at 6pm), and you can even pick up a picnic box to go for a planned outing. 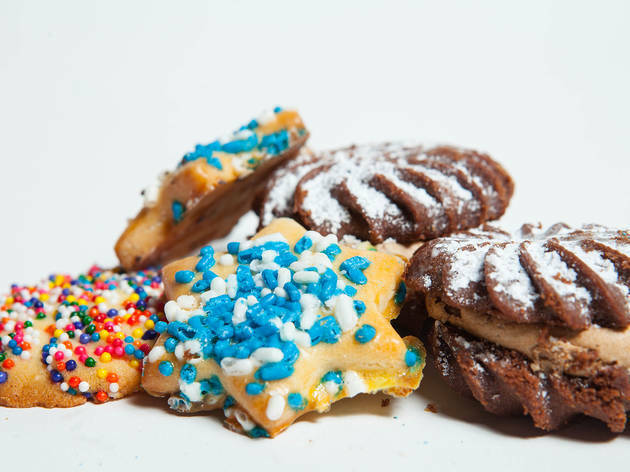 Don't forget the baked goods to go along with your cappuccino—Sweet Butter makes some stellar cookies and cakes that you'll smell before you even get to the door. 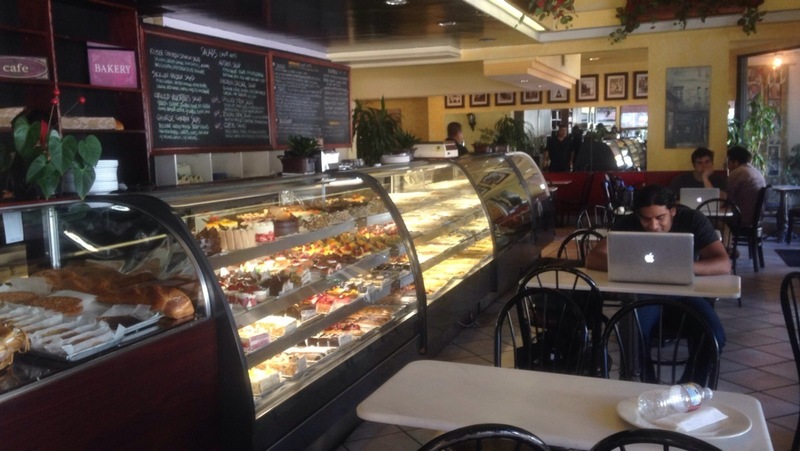 Part UCLA student study haven, part young couple crowd, this standby Westwood Village cafe serves all kinds of coffee confections and the best pastries in the Village in a cozy atmosphere. 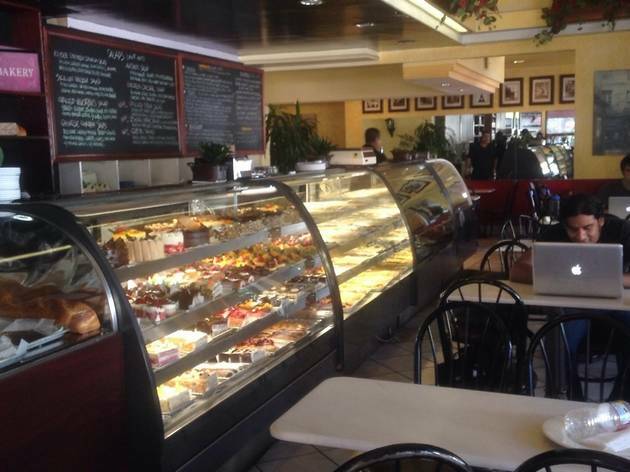 Flakey butter croissants, decadent chocolate cheesecake and fruit tarts are baked from scratch daily. A great weekend brunch spot, splurge on the strawberry Nutella crêpes, they don’t disappoint. 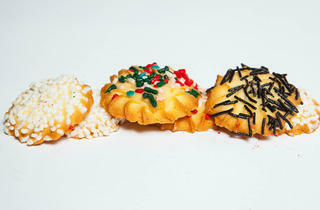 If you happen to be there at the end of the day, be extra courteous to the staff—they give away extra fresh pastries.